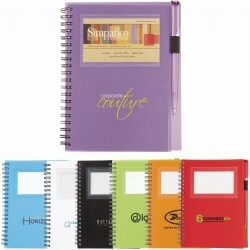 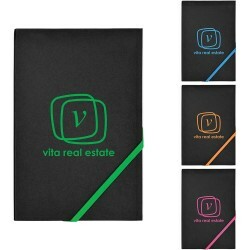 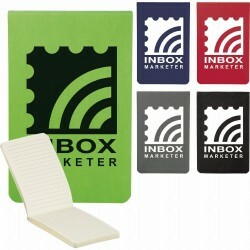 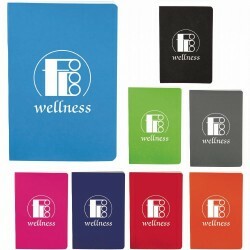 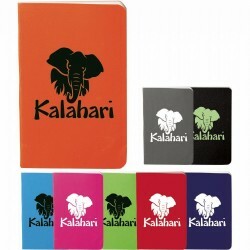 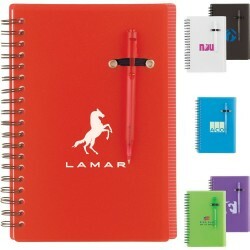 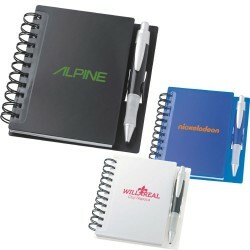 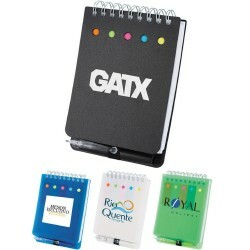 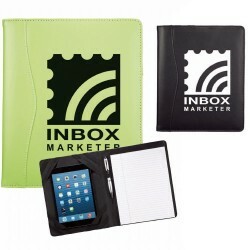 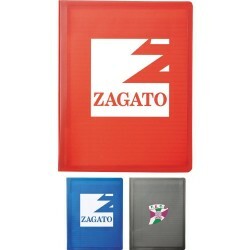 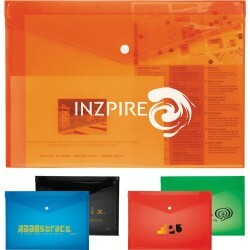 Promotional notepads are popular tradeshow giveaways. 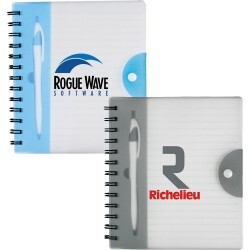 Their popularity can be attributed to their practical use and function. 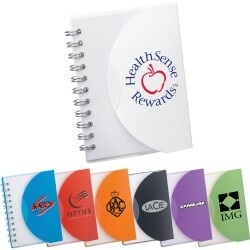 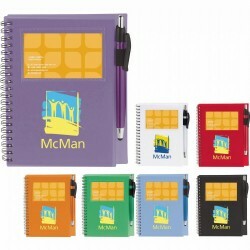 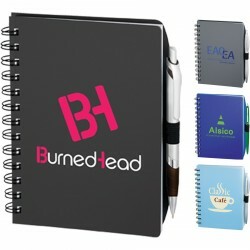 These branded office products can also be giveaway to employees to improve productivity. 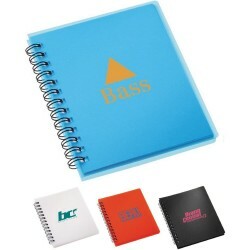 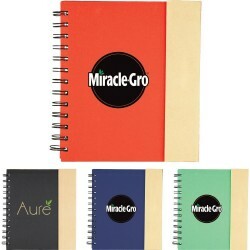 ACE offers a generous selection of custom notepads in an assortment of styles including notebooks, jotters and journals in different sizes and designs. 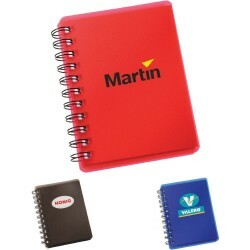 Browse our entire collection of promo notepads for more quality choices. 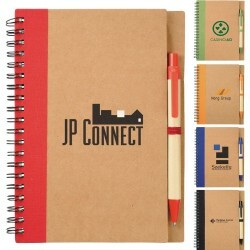 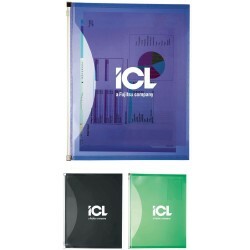 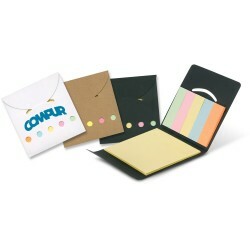 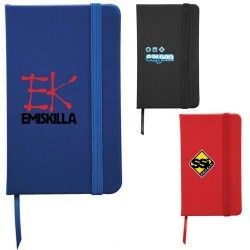 Junior-sized notebook features fold-over polypro cover and elastic pen loop closure. 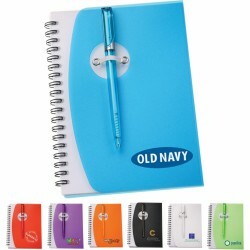 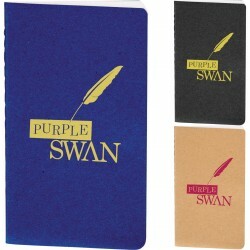 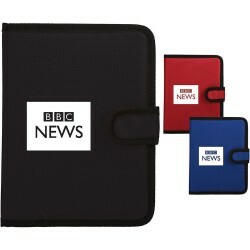 Includes 80 unruled pages and matching Colour folding mini ballpoint pen. 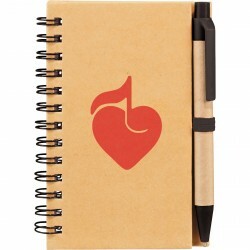 Pen imprint not available. 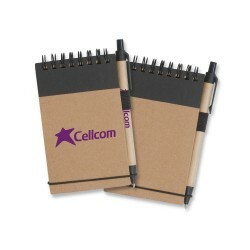 Pens packed separately. 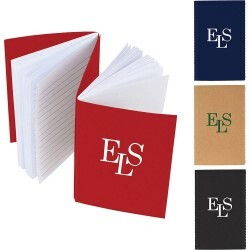 Luxury 80 page medium size notebook with lined pages, a book mark ribbon and an elastic closure band featuring a unique logo strip. 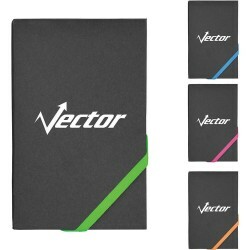 Premier has a hard cover with a stitched soft touch Antique Neoskin finish and a cardboard envelope on the inside back cover. 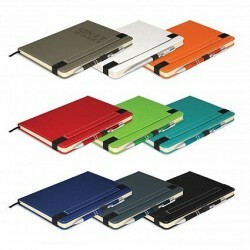 Each notebook has its own stylish aluminium pen neatly included in the elastic pen loop. 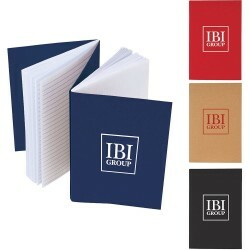 60 page, A7 lined note pad made from 100% recycled paper. 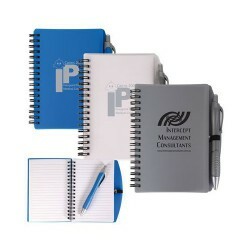 PVC covered note pad complete with a calculator and pen. 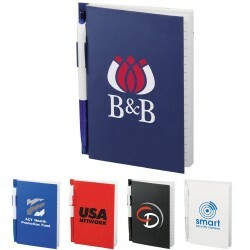 94 page super tough, hard cover note book with a pen. 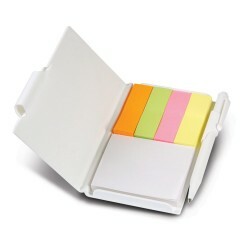 Pocket Rocket size note book which contains a pad of stick anywhere adhesive notes, a pad of page flags in 4 bright colours and a pen. 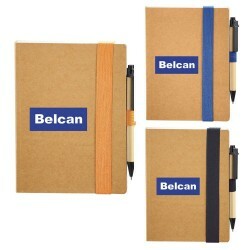 50 page, wire bound, pocket note book complete with an elastic strap and pen. 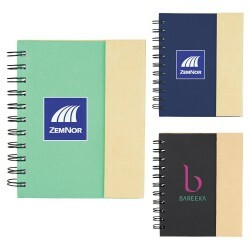 The note book and ben barrel are made of 100% recycled paper and the pastic parts of the pen contain corn starch material to reduce the amount of plastic used. 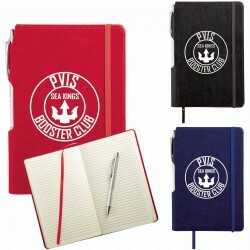 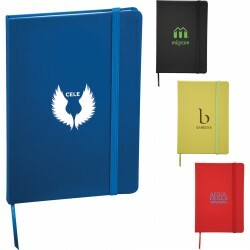 A5 pad folio complete with a lined note pad and pen loop. 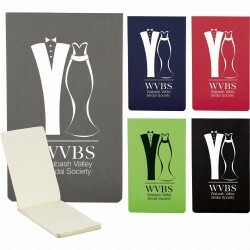 The cover can be printed in stunning full colour. 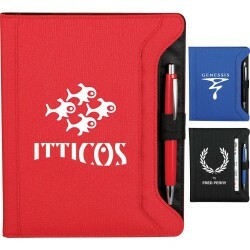 The pen is not included. 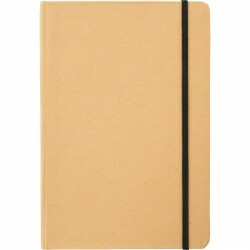 Luxury note book complete with a lined pad and pen loop. 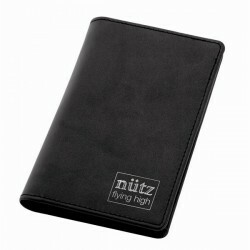 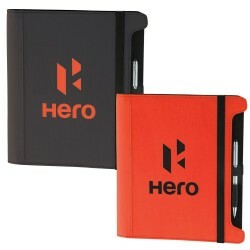 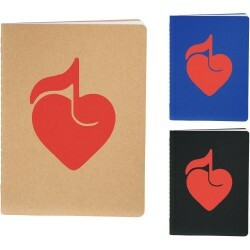 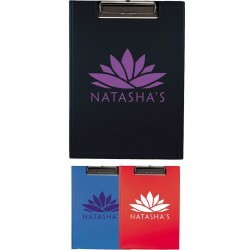 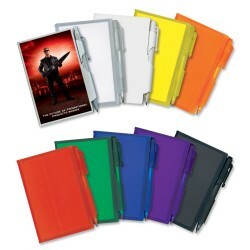 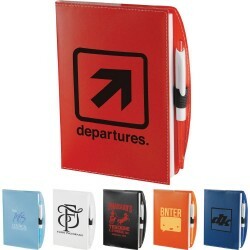 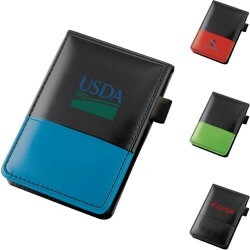 Has 2 internal pockets for holding business cards or credit cards and can be printed in stunning full colour. 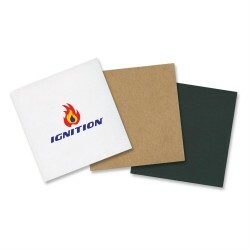 100 pages of stick anywhere adhesive notes in a pocket size pack with a cardboard cover. 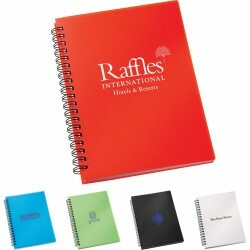 A luxury, 80 page, lined, hard cover note book complete with page marker ribbon and an elastic closure band. 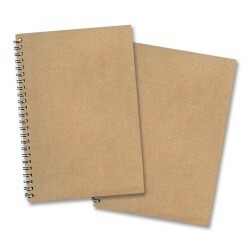 Wiro bound, 80 page, lined note book made from recycled paper. 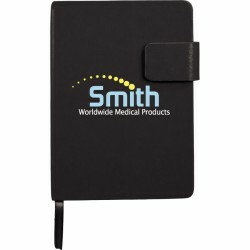 The inner cover features information about the biodegradable pen which is made from corn starch material and complies with both the EN13432 and ATSM 6400 certification standards. 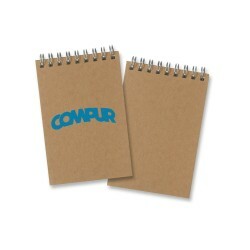 The words 'compostable' and 'biodegradable' are clearly moulded into the upper part of the pen. 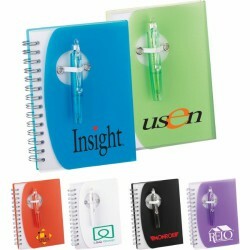 Desk note paper holder with a convenient flip top lid. 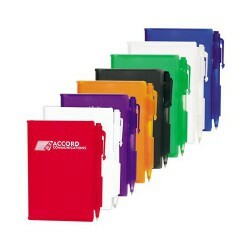 Complete with 200 sheets of readily available standard size paper so is easily refilled. 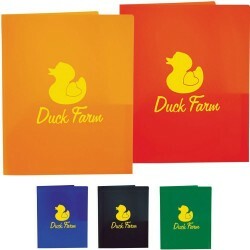 House shape notepad with 60 white blank pages. 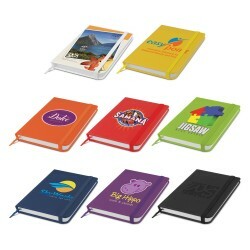 Pivot allows fanning of pages, great for house service companies.